This unique design allows your rod-pod to be firmly anchored to the ground. 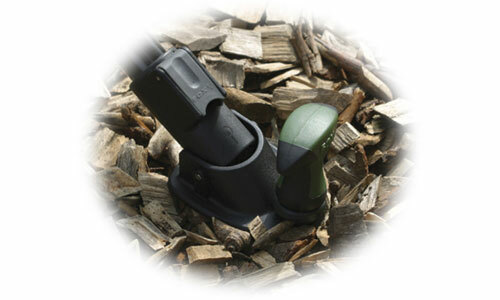 Pivoting through 90 degrees, each foot can adjusted to suit uneven ground if required and each foot features an anchoring point allowing it to be securely fixed to the ground with bivvy pegs or screws or cup hooks on wooden platforms! Providing increased stability, these ‘Pod Anchors’ have been designed for use in conjunction with rod pods that have legs constructed from 22mm tube.